Home /Knowledge Base /Technical /Why do I need ChargeBee? Home /Knowledge Base /Must Read /Why do I need ChargeBee? Home /Knowledge Base /Getting Started Guide /Why do I need ChargeBee? Home /Knowledge Base /Payment processing /Why do I need ChargeBee? Home /Knowledge Base /Billing /Why do I need ChargeBee? Home /Knowledge Base /General Credit Repair Business Questions /Why do I need ChargeBee? Home /Knowledge Base /FAQ /Why do I need ChargeBee? **NEWS: CHARGEBEE IS NOW FREE FOR UNLIMITED CHARGES FOR YOUR FIRST $10,000 IN REVENUE IF YOU SIGN UP FOR THEIR “LAUNCH PLAN” WHICH IS ALL YOU NEED. WE HIGHLY RECOMMEND CHARGEBEE. IT IS AWESOME FOR COLLECTING RECURRING PAYMENTS, DUNNING, ETC. For charging client’s credit cards in Credit Repair Cloud, you’ll accounts at other companies. This page will explain all the parts needed. Credit repair software is our core business. We’re not in the credit card billing business or in the merchant account business, but we will always point you in the right direction to save money with the right tools to succeed. If you want to charge recurring payments to clients credit cards from within Credit Repair Cloud , you must have a Chargebee account. You will also need a merchant account and gateway. These parts all work together and they are all necessary if you want to grow a successful recurring revenue business. I will explain all of these parts below. Chargebee is awesome software that makes it easy and affordable to set up automated recurring billing for your clients from within Credit Repair Cloud. It’s very difficult to scale a recurring-revenue business without software to manage it all properly. It’s too much for a person to handle without automation. 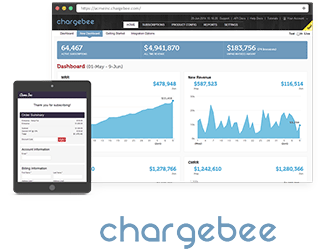 Chargebee costs very little and more than pays for itself because it collects more money than you would without it. It does this with “dunning” services for failed cards. More importantly, it save you a tremendous amount of time. Your time is valuable. To see the value of Chargebee try Chargebee for free for one month. Are you new to having an online business? Congratulations. Welcome aboard! There’s much to learn and I will do my best to explain the parts. If anyone knows about recurring billing it me. I’m Daniel Rosen, founder of Credit Repair Cloud. I speak at startup events about the power of recurring-revenue businesses. Recurring-revenue is the best way to accumulate wealth, so I will explain all the parts so you will know what they are for and how they make you money. If you want to take credit cards on your website and in your Credit Repair Cloud, this involves many moving parts, banks, other companies, other software and clients (who are notorious for not being responsible with their bills) — so the goal is to make this simple, profitable and easy for you to collect your money from all of your clients. 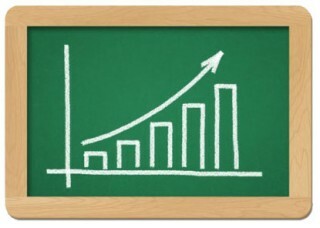 Remember that the goal is to grow your own recurring-revenue business. These clients each take about 5 minutes of work per month. if you give awesome service, they’ll continue to pay your monthly fee. 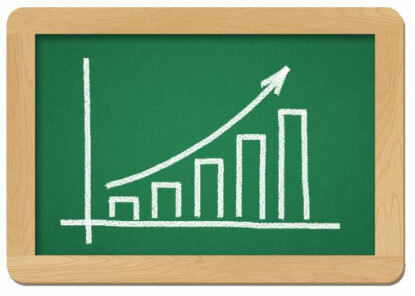 Just a few more clients each month, and your revenue will start to look like this chart. See this Credit Repair Business Calculator so you will see the goal of a recurring revenue business. Also watch our recent webinar about how to start a credit repair business. A Merchant Account and Gateway – This is a type of bank that authorizes credit card payments electronically. They also must determine that you are not a risk, so there is an approval process. You cannot take credit cards without a Merchant Account and Gateway. You must use a Merchant account that allows for Credit Repair Businesses (most will not). A Chargebee Account – This is software that handles the recurring billing, scheduling of the payments, the payment plans, and especially the “dunning” (automated collections when credit cards fail), etc. You cannot scale a recurring revenue business without a payments platform. You might squeak by for a little while without a payments software, but you’ll waste a lot of time chasing after your money, it’s cumbersome to manage and it will be vary difficult to grow.Yes, these parts might “seem” like they are the same, but they are very different. Can’t I use any Merchant Account and Gateway? Can’t I use PayPal? No, no and no. You must have a merchant account for credit repair services. Most Merchant Account/Gateways will not allow for Credit Repair Services in their terms. So it’s important to choose a merchant account/gateway that will allow your business. For example PayPal does not allow for credit repair services and they will ban you. Most merchant account gateways will not allow for credit repair, and there is an approval process. What Merchant Account Gateway should i get? CRMA (Credit Repair Merchant Accounts) specializes in approving credit repair businesses fast. Click here: CRMA Merchant Services. Why do you recommend Chargebee? ChargeBee is awesome software that works with your Merchant Gateway. It’s integrated right into Credit Repair Cloud to do many special things like allowing your clients to sign up with a credit card right on your site, to assign payment plans, collecting payments triggered by events in Credit Repair Cloud, sending invoices and updates and asking clients to update failed and expired cards and suspending accounts as needed and the ability for clients to easily sign up from your site by credit card and have it all flow perfectly with amazing records. We believed in Chargebee so much that we spent a year just building this integration, to make it simple and awesome. The value of ChargeBee is phenomenal and its small cost is peanuts compared to what it saves you in time. They also have a free 30 day trial so you can test it out first. I already have a Merchant Account Gateway. Can’t I just bill my clients without Chargebee? The answer is, yes you can! But it will be outside of our software and it will be a lot more work to manage and organize. We do not recommend this. You will not have a successful or scaleable business. Remember the whole idea is to save time, so you can concentrate on growing your business and not on chasing money. But do I really need both of these? No, you can run your business any way you like, but without the right tools it will be difficult to grow a business. Can’t I just plug my Payment Gateway API key directly into Credit Repair Cloud and have Credit Repair Cloud collect the payments? No. Credit Repair Cloud has no place for your Gateway API key and Credit Repair Cloud won’t collect your payments. We do not store credit card data and we’re not a payment platform, that is why we integrated with Chargebee. Chargebee is awesome software that will work with your Merchant Payment Gateway API. It has the dunning services that you need and it gives you so many awesome tools that will help you to grow your business. But if you still want to do this on the cheap, go for it! Just handle your payments outside of Credit Repair Cloud and know that you’ll be spending a lot of time chasing money. Most recurring payment platforms are expensive and charge a percentage of your sales. ChargeBee has a flat fee starting at $49 a month, making it the least expensive recurring-payments platform we’ve ever seen. That’s why we build this integration with them. The service they provide is awesome and will save you so much time. They also have a free 30 day trial so you can “try it before you buy it.” That makes it a no-brainer. Adding this payment Platform took us nearly a year and it was our most-requested feature ever! No more manual invoicing. This integration gives you awesome superpowers to set automated recurring client payments by credit card within Credit Repair Cloud with charges triggered by events within Credit Repair Cloud! Once you have your Merchant Gateway, sign up for ChargeBee. It’s FREE for 30 days if you sign up from the link in My Company>ChargeBee..
Are you just referring me to these other companies to be paid for the referral? No! We are not partners with any of these companies. We want you to have an awesome business so you’ll continue to use our software. So that’s why we put so much effort in helping you to be successful. That’s why we write articles like this and give free training. We know the recurring revenue business inside and out. We know what works and what doesn’t and we only refer companies we think are awesome. Within Credit Repair Cloud we have many 3rd party integrations with other awesome companies. You don’t have to use any of them. We have them because they do awesome things and save you time but are all optional. You don’t have to use ChargeBee if you don’t want to. You can bill your clients any way you like, and if you’re just starting, perhaps you may not need a recurring payment platform yet, but if you’re wanting to bill your clients in other ways, that would happen outside of our software and it would be a lot of record keeping. So it all boils down to what your time is worth. Most people want to reduce work so they can concentrate on growing their business. If you log into your Credit Repair Cloud and visit MY COMPANY> CHARGEBEE you can read all about what ChargeBee does and how it works with your Merchant Gateway, there’s also a Quick Video.